Today we are releasing a series of films on the relationships between land reform and economic activity in Zimbabwe, focusing on three commodities: tobacco, beef and horticulture. The films emerge from on-going work coordinated by the Institute for Poverty, Land and Agrarian Studies based at UWC in Cape Town under the ‘Space, Markets and Employment in Agricultural Development’ (SMEAD) project supported by the UK ESRC and DFID growth research programme. They were made by Pamela Ngwenya, supported by the field team. This week, I am posting the overview film which gives you a taste of the series. In subsequent weeks, I will post ones on the each of the three commodities we looked at. 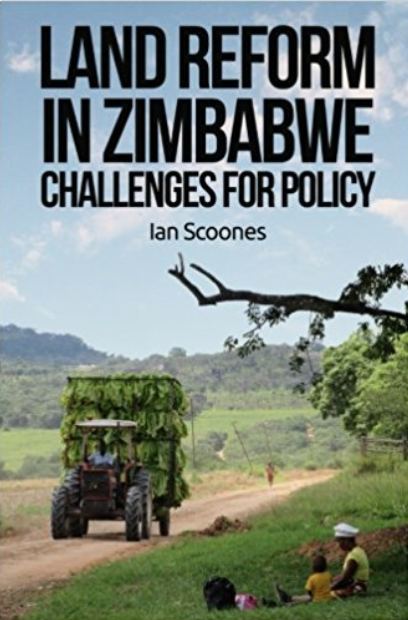 Over the last couple of years the work has been carried out in Malawi, South Africa and Zimbabwe looking at the linkages between agricultural production, employment and other economic activity and the spatial patterns of these interactions. Through some detailed case study research, the project has been attempting to look at the different growth pathways linked to agriculture, and investigate how inclusive these are, asking who gains and who loses from agricultural commercialisation. The study of course links to old debates about scale and agriculture, and the linkage and multiplier effects of different types of farming. Do big or small farms create more employment and economic growth, for whom and where? What spatial mix of farm sizes and markets make sense? Can local economic development flourish in an era of globalisation? These are not easy questions to answer, and that’s why the debate has continued and continued. It depends what commodity, which markets, what spatial arrangement of farms and markets, levels of infrastructure and much more. But across our studies in southern Africa, some interesting patterns emerge. The cases from Malawi show very localised economic activities, with spillovers and connections occurring within a few kilometers. Few farmers are able to scale up, and although commericalised, the prospects for growth without wider shifts in the economy look bleak. In South Africa by contrast, the linkages were extensive, with very few steps to large companies operating in highly developed value chains, and linking to markets in distant urban conurbations. Here, for differnt reasons, the prospects for local economic development looked limited. The value was captured and exported, and employment was not being generated in the local area. Zimbabwe showed an intriguing middle ground. Here lots of local economic activity was evident, particularly linked to entrepreneurial farmers in the A1 resettlement areas. These farmers were selling into new value chains, created since land reform. These were more local, supplying markets in nearby towns and business centres for beef or horticulture, but also export markets for tobacco. Employment was being generated along the value chains, and benefits were far more widely shared. The results of the study are still being processed, synthesised and written up and I will share more when the reports are out. But the early indications suggest an interesting story, especially for Zimbabwe. This suggests a focus on local economic development, capitalising on and amplifying the linkages already created by entrepreneurial farmers who have benefited from land reform. This will mean a major rethink of rural development policy and planning, but the benefits could be significant if the cases highlighted in these films are anything to go by.